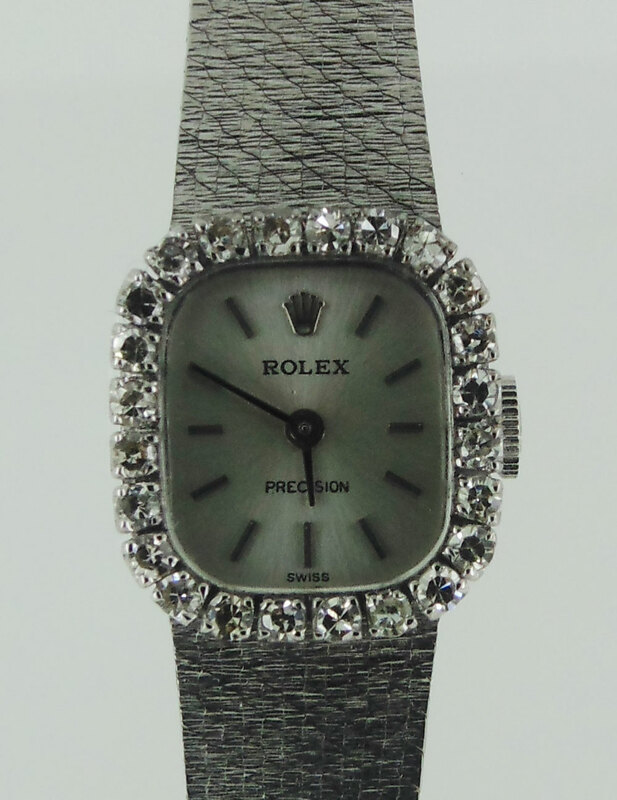 Rolex Ladies Precision 18K White Gold with Diamond Bezel. Model no.2656, Case no. 3136XXX, Calibre 1400, Cira 1970. Serviced with 1 year guarantee. In good working condition. If you have any questions please do not hesitate in contacting us.